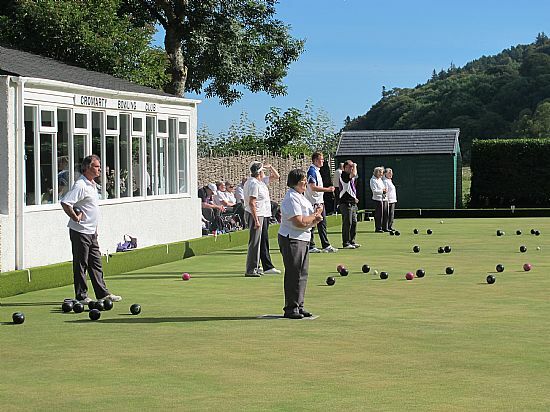 Our club has been in existence since the late 19th century, and has seen a significant revival over the last ten years. We've gained new members, run some popular competitions, and put a lot of effort into our green and clubhouse. We're always on the lookout for new members, so whatever your standard, do come along. We are a small friendly club of both men and women members. 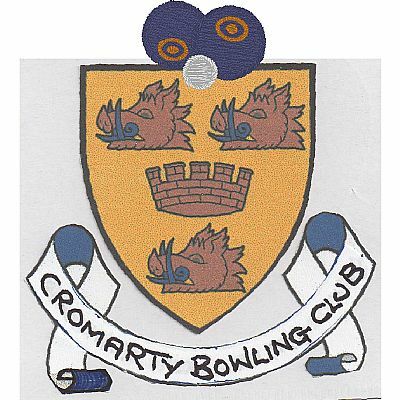 We also have some junior members whose subscription is free of charge thanks to sponsorship from the Cromarty Trust. A good place to begin would be our Friday afternoon sessions at 2pm where you would be made welcome by our Friday regulars. 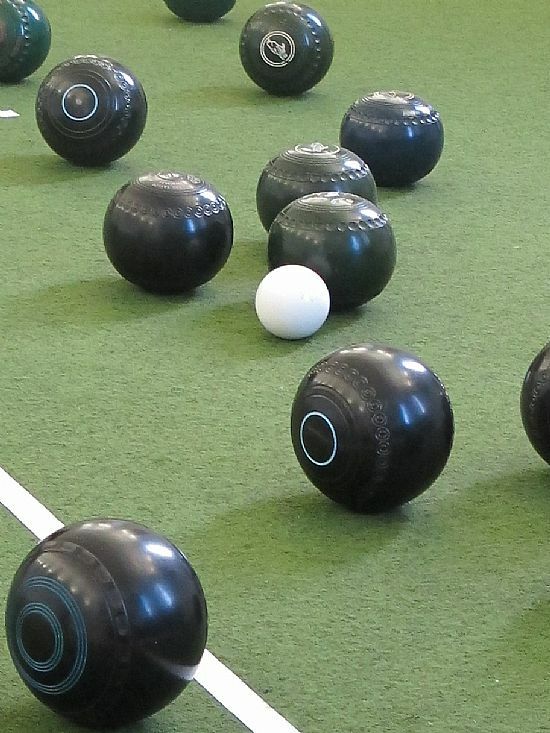 You can usually borrow a set of Club bowls to get started. 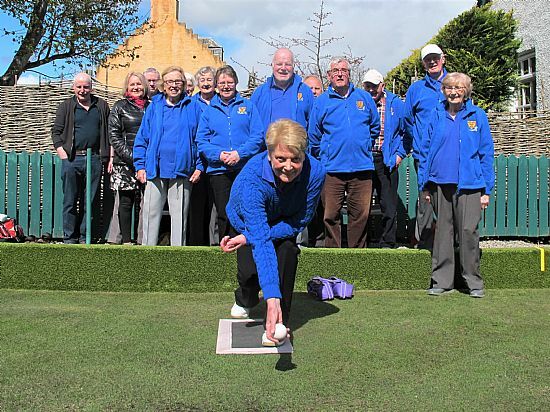 Some of our members are happy playing just for the enjoyment of the game on a Friday afternoon. For the more competitive there are Club competitions and league matches against local clubs for both lawn bowls and indoor (short mat) bowls. Subscription details are on our Membership page. 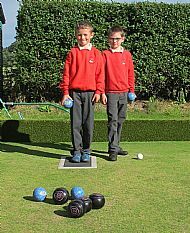 Please also see details of free junior membership. You can contact Alex Wilson, our Secretary, at a.k.e.g.wilson@btinternet.com. 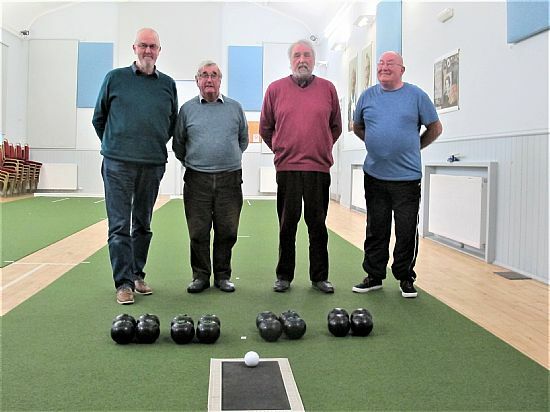 The players in the 2019 Indoor Pairs final from L to R: Alistair Hourston, Douglas Cooper, Alex Wison and Frank McKellar. 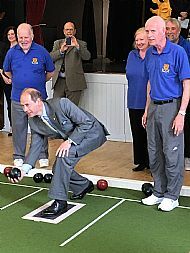 David Cowan won the Jack Mackay trophy for 4-bowl singles (indoor) in February 2019. 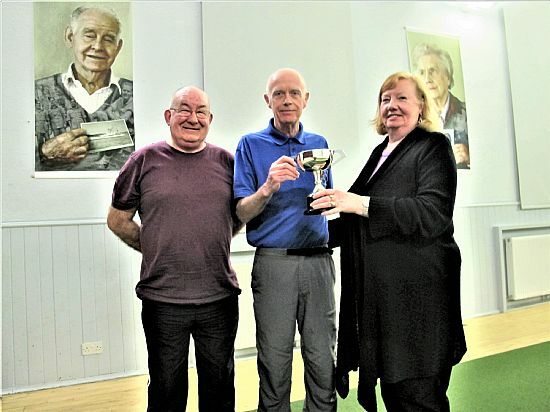 The trophy was presented by Club Indoor President Evelyn Wilson. The runner-up was Frank McKellar. 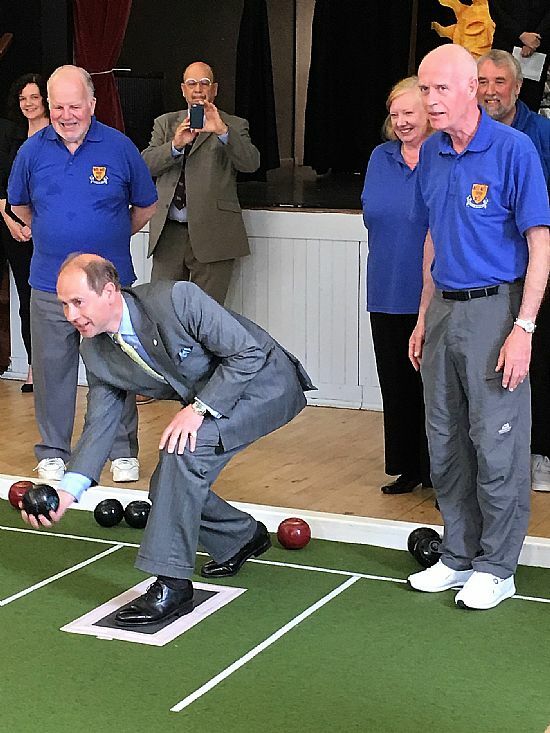 Prince Edward visited Cromarty on 26th June 2017 and tried his hand at indoor bowling in the Victoria Hall. 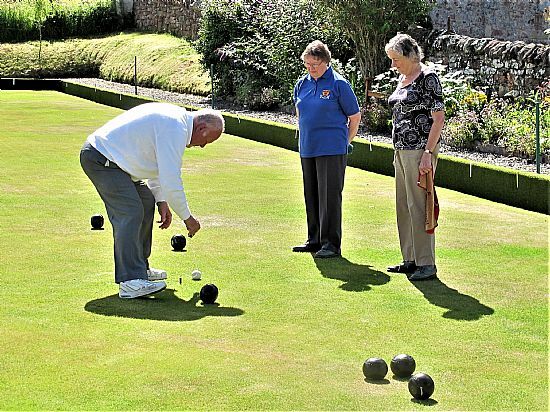 Indoor bowling is held in Victoria Hall Cromarty from October to April.